Over the past few years, Chaos Created has developed a whole stack of educational Fireworks related games for TES iboard. Many of these are being promoted as part of their three Fireworks Numeracy packs, split into target age groups. 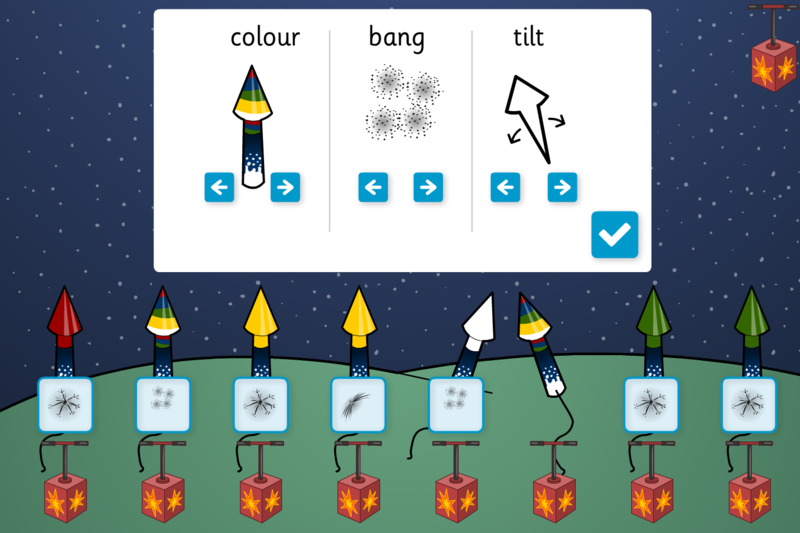 Each pack features a whole bunch of educational games around the Bonfire Night, Guy Fawkes and Fireworks theme, including Firework addition/subtraction games, Firework shopping games, Firework surveys, Interactive Firework Display creators, and more. Head on over to the TES iboard site to view the topic packs.